Next in the Border Chronicles from the New York Times bestselling author of A Dangerous Love. 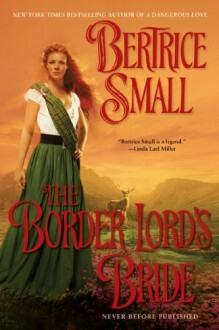 New York Times bestselling author Bertrice Small, no less than, "the reigning queen of the historical genre" (Romance Junkies) continues her Border Chronicles with this sweeping tale of an imposing laird forced to marry the woman he rescued. He never could have anticipated that she could be the love of a lifetime.